"Immediately after Fannie Mae released version 9.2 of DU(R), we had the opportunity to reintroduce this program given Fannie's changes, and we're the first wholesale lender in the country to make it available," stated Mat Ishbia, president and CEO of UWM. With Fannie Mae’s newly released version of Desktop Underwriter® 9.2 (DU®), UWM was able to reintroduce standard conventional and MyCommunity Mortgage financing up to 97 percent LTV for first-time homebuyers with a DU® approval. This program is significant because it opens up new business opportunities for both real estate agents and originators. Real estate agents will be able to help a broader range of perspective buyers and originators can offer their clients lower down payments and lower monthly payments. It also gives borrowers that are traditionally forced into government loans the opportunity to obtain conventional financing. 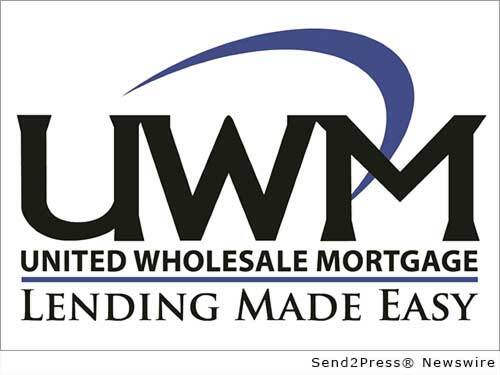 UWM’s partners can already access the program by logging into its loan portal, EASE, to gain approvals. The program can also be accessed by UWM’s award-winning UMobile application for Apple and Android Devices. – Instant M.I. available up to 97 percent. – Gift funds eligible for down payment and reserves. – Available on purchase and rate/term refinance transactions. – Standard conventional and MyCommunity Mortgage options. – At least one borrower must be a first-time homebuyer. – No homebuyer counseling required for standard 97 percent conventional. Interested parties can learn more about UWM’s the program by contacting the company at 800-981-8898 or by visiting http://www.uwm.com/. Original Keywords: UMobile application, MyCommunity Mortgage options, Mat Ishbia United Wholesale Mortgage Troy Michigan TROY, Mich.
REFERENCES: Banking News, UMobile application, MyCommunity Mortgage options, Mat Ishbia United Wholesale Mortgage Troy Michigan TROY, Mich.